The nation’s highways and bi-ways are safer to drive on now than ever before. With the help of modern technology, car manufacturers are equipping vehicles with various safety features that can prevent and reduce auto accidents. While purchasing a car with these safety mechanisms can keep you and your family safe, it can also help you put money back into your pocket. Manual seatbelts that require drivers and passengers to buckle-up can be easily forgotten. Car insurance companies offer discounts to individual driving cars with automatic seatbelts, as it is almost guaranteed that the seatbelt is strapped when the car is in motion. With over 15,000 lives being saved each year because of the use of a seatbelt, it’s no wonder insurance companies give drivers with automatic seatbelts a discount. Tires are one of the most important features on a vehicle as they are the only things that separate you from the road. While they are the most important, they can also be the most dangerous. Tires with low air pressure can cause problems with steering and moving the vehicle, which can result in an accident. Likewise, too much pressure and the tire can explode, causing an accident. Car insurance companies offer discounts to those with a tire pressure sensor as it can reduce the likelihood of being involved in an accident. A tire pressure sensor will alert the driver when the tires are over or under-inflated, giving ample time to fix the problem. 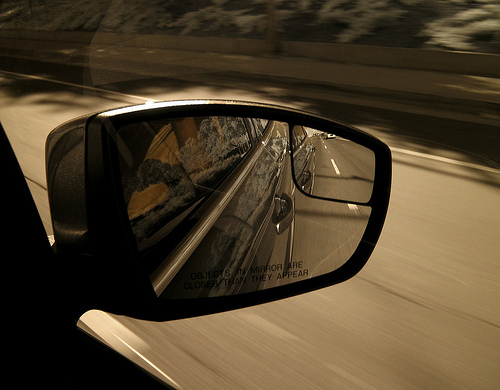 Whether due to falling asleep at the wheel or distracted driving, lane drifting is a problem that can result in serious and potentially deadly accidents. Vehicles equipped with lane departure warning systems use motion sensors to detect when a car is traveling close to the painted highway lanes. In an effort to alert the driver and bring their focus back to the road, the warning system will issue a beep. Every vehicle — no matter how big or small — has some type of blind spot or reduced area of visibility, where drivers are unable to see vehicles traveling in adjacent lanes. Without the ability to fully see other vehicles, drivers have an increased chance of getting into an accident when changing lanes. Car insurance companies support the use of a blind spot alert system as it alerts drivers when cars are traveling in the dangerous no-visibility zone and prevents them from making lane changes that can result in an accident. The advanced technology of vehicle safety features has created a win-win situation for drivers. They are able to drive safer and save money. What safety features will car manufacturers come up with next that offers these same benefits? Cars are constantly in need of a good cleaning, even if you are meticulous about keeping it spotless. With more environmental awareness being spread throughout the world, from things like paperless insurance statements to reusable air filters, it’s no wonder that there has been a higher demand for natural cleaners for cars. Whether it’s the inside or outside, harmful chemicals aren’t necessary to make a car squeaky clean. Here are a few options for the nature lover in you. This runoff friendly soap should give you the cleaning power you need while not being terrible for the environment. Also their car wash is a renewable product that can even clean off wash rags as you use them, allowing for up to 10-15 times more use. 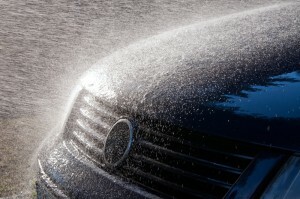 It also helps to repel water from the side of your car so that it doesn’t leave those pesky water marks. Don’t clean windows on your car with chemicals that could damage the earth. Instead, grab half a cup of vinegar, a fourth a cup of alcohol and a cup of water and mix them together. Put the concoction into a spray bottle and use a microfiber cloth instead of wasting a bunch of paper towels. This mysterious natural wax coats your car and allows you to wipe it off just like regular wax. They claim that it clears up blemishes and minor car scrapes as well. This might be a reasonable alternative to those who are interested in innovative technology that is also good for the environment. This company offers a variety of products that allow you to wash your car without the use of water. Their products clean interiors and exteriors, though they also offer towels, bulk orders, and some premade kits. It is great for the environment, and it can be used as an all-purpose cleaner. Don’t be afraid to get dirty while cleaning your car as long as you don’t pollute the environment. Even if you just want unique options, there are a variety of natural cleaners that reduce or eliminate waste and help you clean your car at the same time.